Get fit and lose weight is the common goal of many people who use equipment for physical exercise: machines for aerobic practice, strengthening, vertical vibration, oscillatory, etc. But is it healthy to exercise on them? 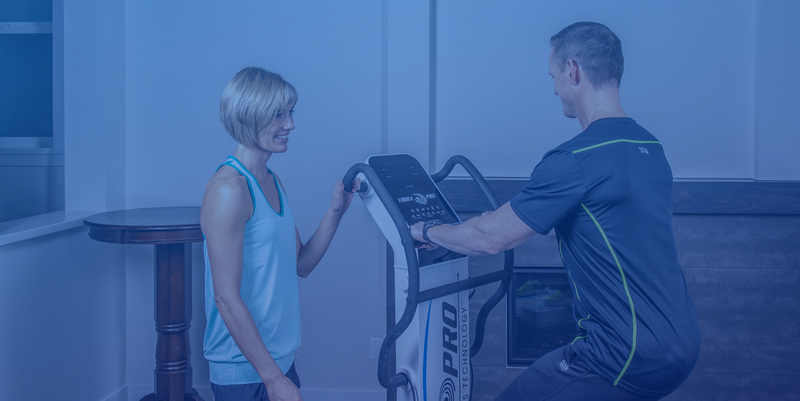 Do you always have to go to the gym and have a personal trainer, or can you use them at home? In this article the machines for exercising at home and in the gym are analyzed and the aspects that must be taken into account before using them, since they are not exempt from contraindications . Get in shape is one of the purposes that are made, more often, with the new year. The month of February is key to consolidate, and not abandon, the exercise program that begins after Christmas, if you want to improve the physical shape for the arrival of good weather. Within this new training plan, some people wonder if exercising with machines is healthy and under what conditions. The answer of the experts is yes, as long as the guidelines of a professional are followed. “After the Christmas holidays, you should not start the exercise in an unregulated or advised way, each person has their abilities and limitations and, before practicing any training, should know them and know if they have any cardiovascular , pulmonary, endocrine or metabolic disease. By means of a medical evaluation, this clinical advice is useful when going to a sports facility and must be known by the independent professional who will then advise on the use of the equipment, “explains Salvador Pit arch, physiotherapist at the Institute of Bio mechanics of Valencia (IBV). It is also not convenient to exercise exclusively or isolated with machines, but this training must be combined with other exercises to get good results , according to information from this expert. “The help of a professional is essential, it should advise on the loads, cycles and repetitions with which to work, the exercise tables and postures, which vary depending on the person’s objective, which may be to lose weight, muscle or tone, and according to this, you will be recommended to work with more weight and fewer repetitions or do more repetitions with less weight, “says Mercedes Sanchís, a researcher at the Institute of Bio mechanics of Valencia (IBV). “The machines are very beneficial, ideally under the guidance of a personal trainer or a person with previous knowledge, helping to improve strength, power or endurance , according to the chosen objective”, states Laura Feliu, a graduate in National Institute of Physical Education (INEF), coordinator of the sports department of Holme Place Balmes. Above all they are of great help for those who suffer some injury, overweight or excessive weight , since going out to run outside, to rough terrain or to the street, can be counterproductive. In these cases, it is preferable to resort to the treadmill or bicycle. They are also very useful for people who can not mobilize certain parts of the body, to improve their mobility and achieve certain rehabilitation goals . “We can help them lift their legs or arms, depending on the objective of rehabilitation, when they would not have to lift their arms by themselves, otherwise the muscles will slowly atrophy,” says Feliu. “The machines are useful if they are used well and the loads that are lifted are appropriate to the age, structure and weight of each person, and harmful if the weight used is excessive or the postures are incorrect,” says Sanchís, of the IBV. Whole body vibration machines are effective only if these are used under the supervision of professionals. Machines consisting of vibrating platforms, such as Power Vibe, emit constant vibrations that the body assimilates that, from the point of view of work, are more beneficial . “It is as if the user had an external weight – but without supporting it – which facilitates the work with injured people who could not carry weight, it also speeds up the results of training, since it activates the fibers faster, and improves the capacity muscle, “says Feliu. “Depending on the objective the user is looking for, the machines are used in different ways, a great job can be done without the column being noticed or overloaded.” Well executed, the exercises with the vibratory platforms are as beneficial as with the usual equipment of gyms, “says Feliu. However, “the vibrations they emit move throughout the body and, although their mechanisms of action and effects on the musculoskeletal system are better known, the possible effects on the cardiocirculatory and nervous system are still being investigated ,” warns Pitarch. In fact, the scientific works carried out show differences regarding the results on the use of vibrating platforms. Although some publications have shown improvements in flexibility, strength and power, there are others where the scope of their benefits in the short, medium and long term is unclear. “The studies have been carried out in elite athletes and in the general population, in which improvements have been seen in aspects such as balance, but at present, the results are still contradictory,” reports Pitarch. And it depends on the variability of the exercise protocols of each investigation, the subject studied, the selected parameters, the doses and the type of platform used; a vertical vibration platform that oscillates is not the same.